IMI is pleased to introduce two new colors to our industry leading powder coatings. We now offer Wheel Gray and Wheel Black, providing the same high performance powder coating as our Wheel White. 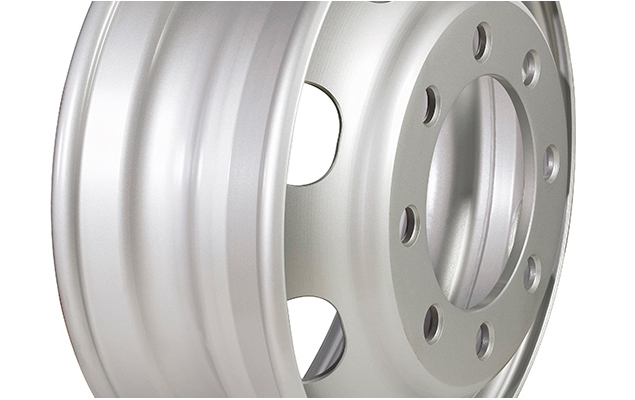 surface weaknesses, which maximizes adhesion to the wheel surface, including crevices. The result is an even 3.5-mil-thick coating as recommended by the TMC. In addition, our process reduces waste by, transferring more coating to the wheel surface for the most efficient and highest quality wheel refinishing process in the industry. Proper wheel refinishing requires complete removal of all rust, dirt and grease from the wheel before a coating is applied. With IMI’s turnkey wheel refinishing system, you can completely remove rust & old coatings, even with thick buildup, before a wheel receives a lasting, durable coating. And now black and gray wheels can achieve the same quality offered by IMI Wheel White. Improve the appearance and safety of your wheels with quality refinishing services from your local IMI Wheel-Refinishing dealer.